Descrição em português: Clique aqui! The permission pixelvip.cmd.player is given by default for players, and other perms only for OPs. 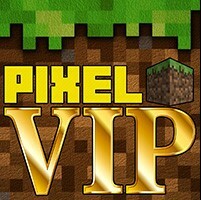 PixelVip is ready(beta) to work in bungeecoord, to sync all Vip plans between all your Bungee servers. When someone use a PixelVip command in one of the server with sync enabled, the argumments will be sent to all other server with bungee sync enabled. BungeeCoord need at least one player online on Bungee server to receive the argumments. Then if theres no player online in one of the Sync servers, the action will be pendente until a player join on server. This feature is not 100% tested (but is 90%) waiting to be tested on more ambients and situations i can test on my server and on my off-line server. Roy7885, Pluginsel, hou19960228 and 11 others like this. Obrigado pelo review! Configura direito que não acontece isso! Why do players play cards when they have more data? They will be stuck from time to time when they play slowly. Does it not support the use of GroupManager plug-ins? No better one than this! Great! P.S. : I cannot use the placeholder when my server was 1.11.2, but when I update to 1.12.2, it works. Confusing. Complete JSON chat, but simple to use. No PVP at day, and change world difficulty at day/night. LockMe is a plugin to add a second layer protection for your player Nicks.